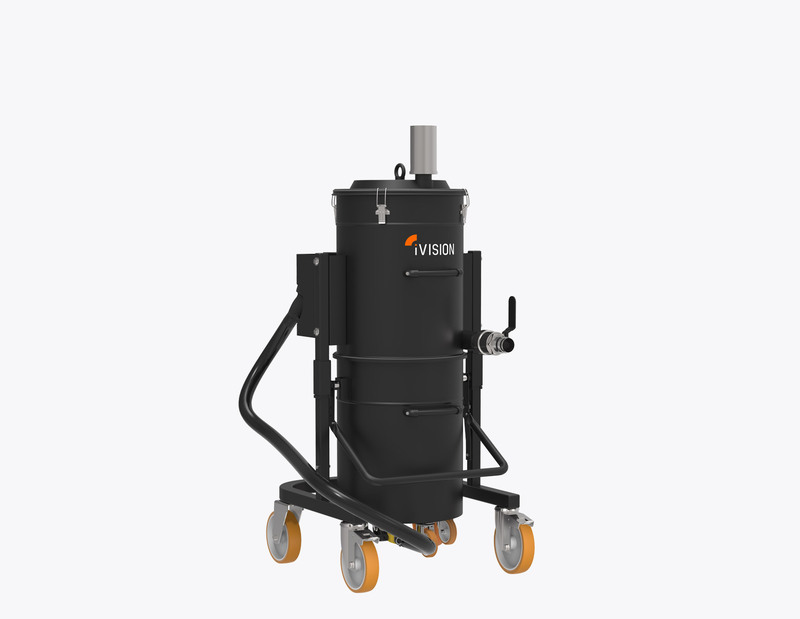 The perfect vacuum solution for chips and liquids. As the flagship product of the EMULSIO line, the iV2 combines practicality with the innovation of ist technological components, thus guaranteeing an optimal performance. The iV2 Design is compact and clean, with the integrated turbine housing in the upper part allowing for maximum maneuverability and protection of its components, the unit is easy to maneuver and operate also thanks to the parking brakes and non-marking swivel wheels. • Anti-scuff swivelling wheels with parking brake for safety and maneuverability. • Loading/emptying command controlled by a lever-operated system, integrated with electronic controls. • Indicating lights to support the main functions of the vacuum cleaner. • Electronic float that automatically stops suction to prevent overfilling. • Electronic safety system designed to protect the turbine from any incorrect use. • Superb efficiency to minimize machine idle time and oil recovery time. 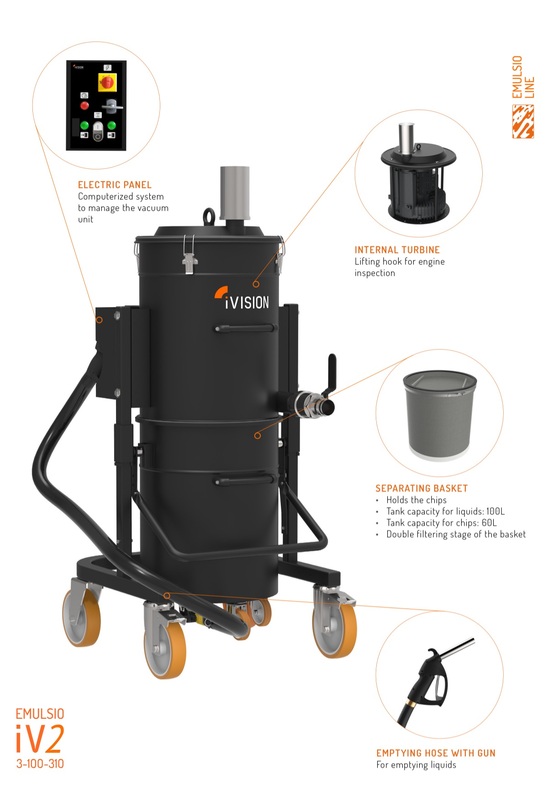 Every model of the iV2 Emulsio series was imagined, created and produced in order to meet the specific needs of every client, looking to create the ideal vacuum to work side by side with milling and turning machines.